A strong pipeline of ongoing national public relations (PR) stories is an important part of the Northeast Indiana Regional Partnership’s marketing efforts. Through those efforts, the region has garnered more than 243 million impressions year to date through national PR, including placements in the Wall Street Journal, Industry Week, Chief Executive Magazine and the Chicago Tribune. To foster new media relationships and proactively pitch stories to national media, the Regional Partnership team leads an annual outbound media tour in conjunction with our national PR firm, Development Counsellors International (DCI). 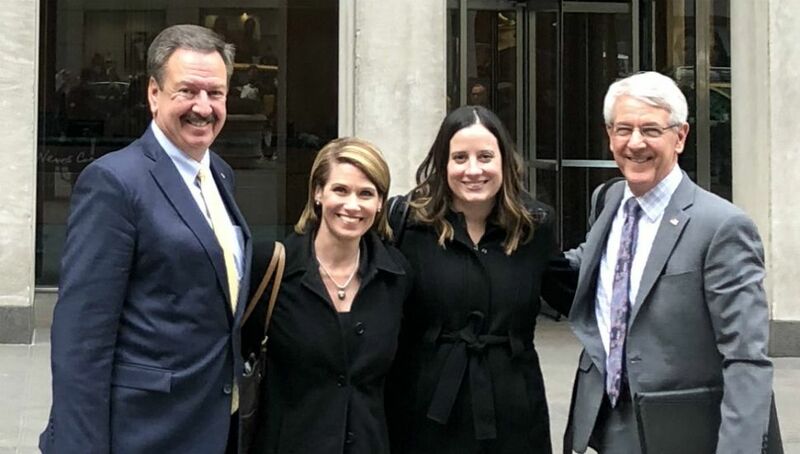 In early November, Chuck Surack and Heather Herron from Sweetwater Sound joined John Sampson and Kate Virag in New York City to tell Northeast Indiana’s story to top-tier national journalists in hopes of national media coverage to better sell our region to business and talent. This year, the story focused around the region’s strong, competitive business climate and quality of life and how businesses like Sweetwater thrive, invest and grow in the region. 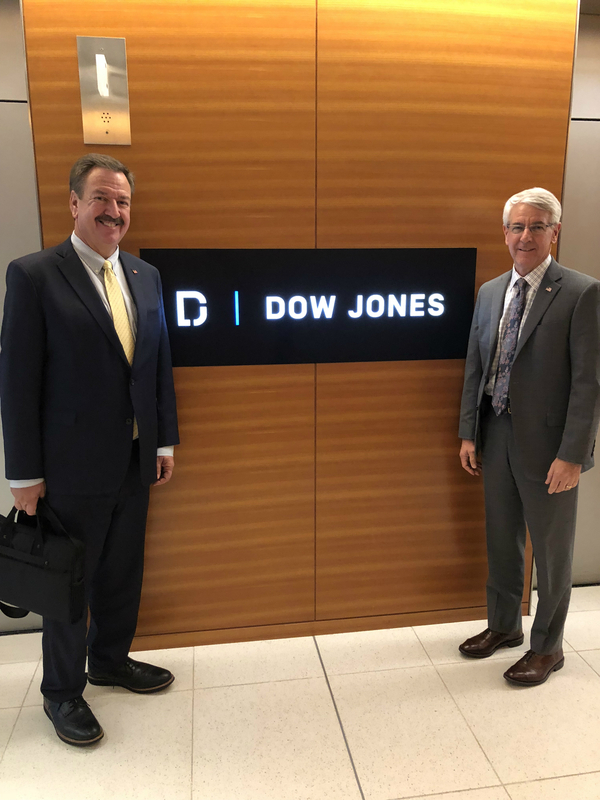 The group met with a variety of media outlets, including the Wall Street Journal, and one result (listed below) has already been secured through this tour. We believe the meetings will lead to additional coverage and look to this as a successful tool for building the national PR pipeline. We extend our sincere thanks to Chuck, Heather and Sweetwater for their participation and leadership in these efforts! Below is an excerpt from Real Estate Finance & Investment, a niche online publication targeted to real estate executives, with over 14,000 readers per month. “The Northeast Indiana Regional Partnership, a regional economic development organization, is hoping to use its experience to complete deals in Indiana city’s 10 designated opportunity zones. The economic development company touts $800m of planned development in downtown Fort Wayne, which comes as the city’s government has approved $65m of public financing for the $440m redevelopment of an abandoned General Electric campus into a 1.2 million-square-foot mixed-use campus. “Indiana is a great state to do business in,” said John Sampson, president and CEO of Northeast Indiana Regional Partnership. The 39-acre, 18-building campus, emblematic of the city’s one-time manufacturing power plant, will be converted into office, retail and residential space. Anchoring the project are universities, a food market, boutique hotel, incubators, affordable lofts for music creatives and gallery spaces. Thus far, developers have met 50% of the project’s pre-leasing goal with letters of interest from tenants that include Indiana Tech and Fort Wayne Public Market. Once considered a fly-over market, local investors say the city’s time has come due to its proximity to Indianapolis, Chicago, and Columbus. Employment growth has spiked with 31,000 jobs projected to come online by 2030, with potential for upside, according to data from Moody’s Analytics.